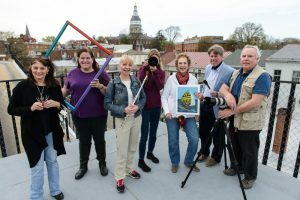 It’s early April and the sun generously streams through the floor-to-ceiling windows at Maryland Hall for the Creative Arts, where Elizabeth Ramirez and Pamela Godfrey Stevens tell the story of the Annapolis Arts Alliance. 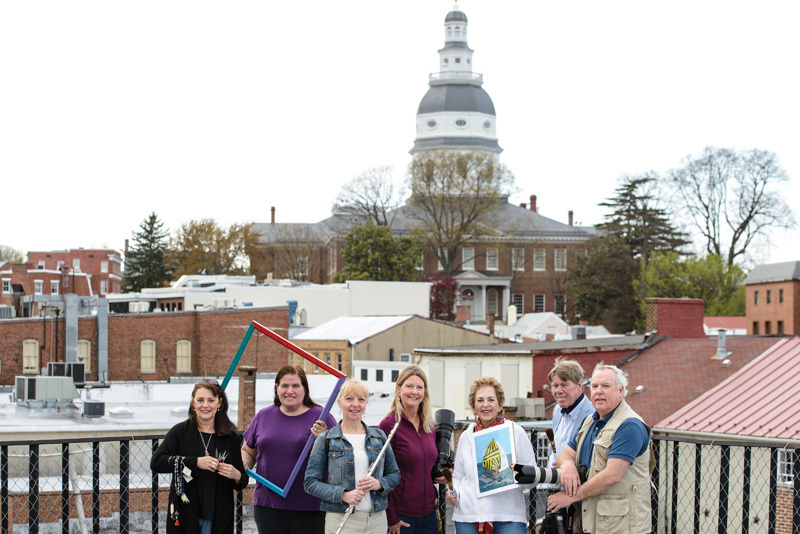 Born out of a project from then Annapolis Mayor Ellen Moyer in 2003, the Alliance started as a group of local artists—representatives from the visual arts, dance, music, theater, written word—and art organizations. They came together to discuss ways that the city and the arts could work together to foster this fundamental part of community. 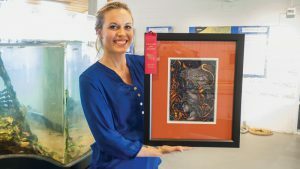 2016 juried show at the Maritime Museum. Fifteen years later, the Alliance is flourishing. 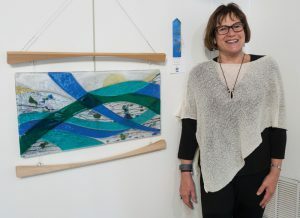 With more than 100 members and 12 board members, the nonprofit’s website says that it strives “to provide one collective voice for anyone interested in or touched by arts.” Throughout the year, it puts together exhibits and art shows featuring the work of Alliance members, including an annual Petite Squares exhibit showing 2D and 3D works of art under 12 inches in size and in a particular theme (this year’s being “floral” in honor of the spring season). 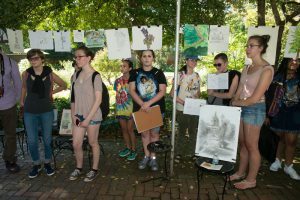 The organization also offers an array of valuable business of arts seminars, ranging in topic from marketing oneself online as an artist to setting up one’s space at an art fair or festival in the most visually appealing way possible. In addition to networking events, the Alliance also hosts a popup store every holiday season, which features the art of many Alliance members. 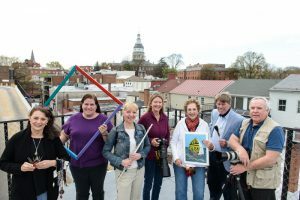 “[The arts] enrich everybody’s lives on so many levels,” says Stevens. “And it creates community. It creates conversation. It brings people together. 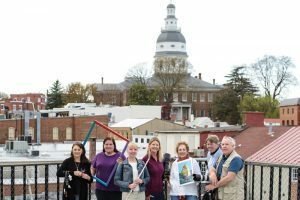 It supports people in times of good and bad, you know—art and music are always there.” A flutist who plays with the Annapolis Chamber Orchestra, Stevens is the only board member who has been with the Alliance from the beginning. Now, when she’s not working as the Annapolis campus coordinator for Johns Hopkins Peabody Preparatory or pursuing her third master’s degree, she serves as the organization’s secretary and de facto historian. Ramirez is equally ambitious in her pursuits but like Stevens, her dedication to the Alliance does not waver despite how busy she is. 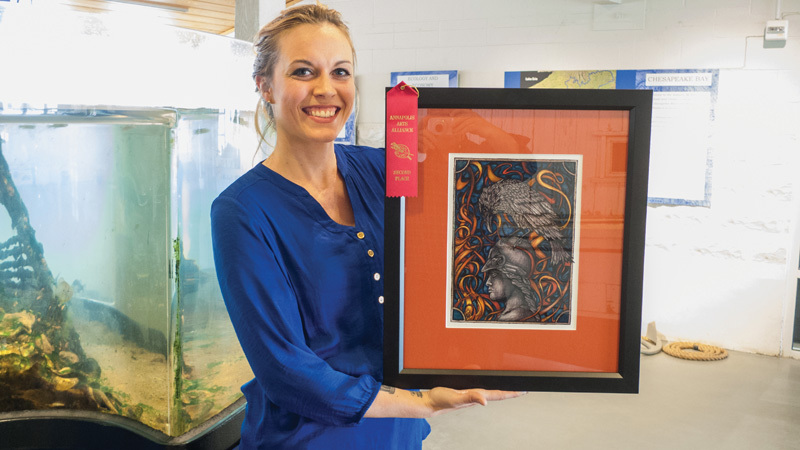 A homeschooling parent, owner of Wimsey Cove Framing and Fine Art Printing, and dedicated member of multiple art and heritage boards, Ramirez wholeheartedly immerses herself in bettering her community, including her work as the Alliance’s president. “Music and art are my life,” Ramirez says. She takes pride especially in the collaboration and partnerships the Alliance fosters—whether it be working with the Anne Arundel County Public Library to create a more inviting, colorful space in its temporary location at the Annapolis Mall as its West Street location undergoes renovations or inspiring a newly graduated MICA student to offer help to a local shop with blank walls. 2016 juried show at the Maritime Museum. Katherine Carney with her category winner. 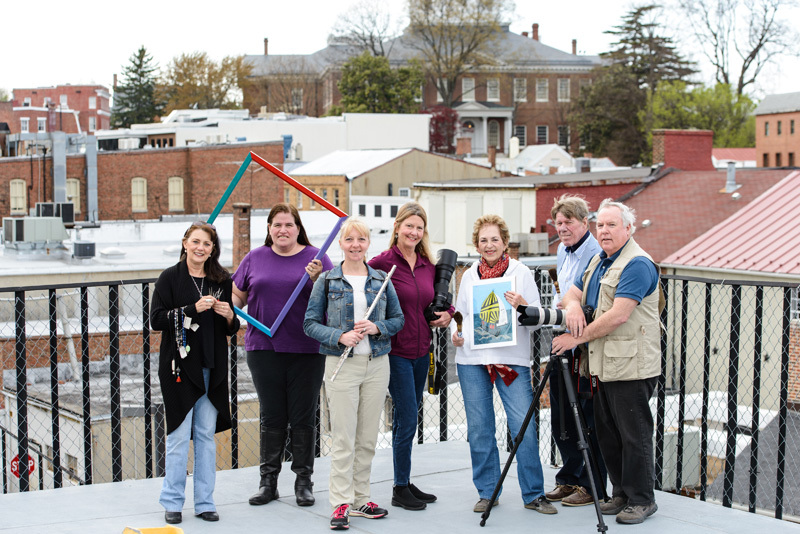 Membership in the Alliance is open to everyone—artists and art appreciators alike—and ranges in cost from $10 for students to $35 for adults and $55 for organizations. Benefits include discounts on Alliance seminars and workshops; opportunities to exhibit, sell, or perform at Alliance showcase events; and marketing and promotional support on the Alliance website and in other publications. Above all, the Alliance aims to create a true sense of community that encompasses all forms of art—music, poetry, visual arts, and beyond. 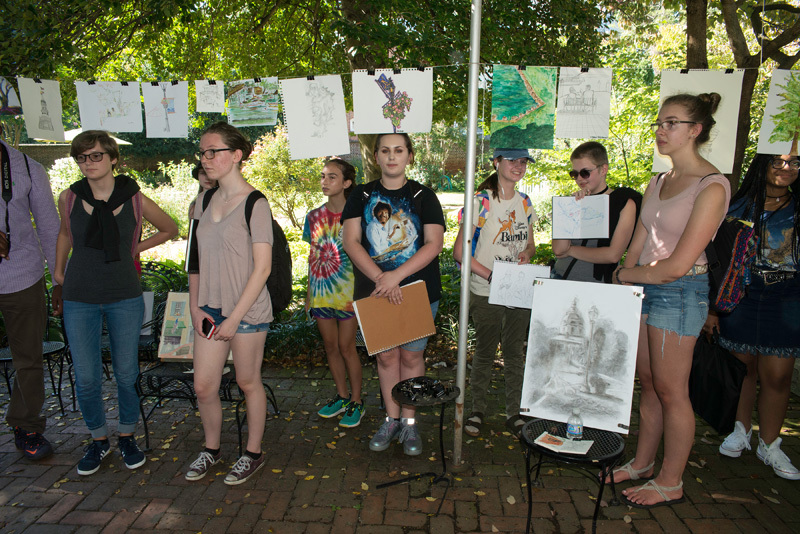 Annapolis Sketch Crawl participates stand in the Chase-Lloyd House gardens surrounded by pieces that were created throughout the day-long event. Holiday shopping check out an Annapolis Arts Alliance member’s work during the holiday pop up shop on West Street. 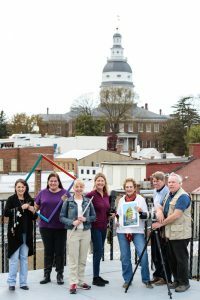 2016 juried show at the Maritime Museum. Catherine (Cat) Dolch holding her winning entry. 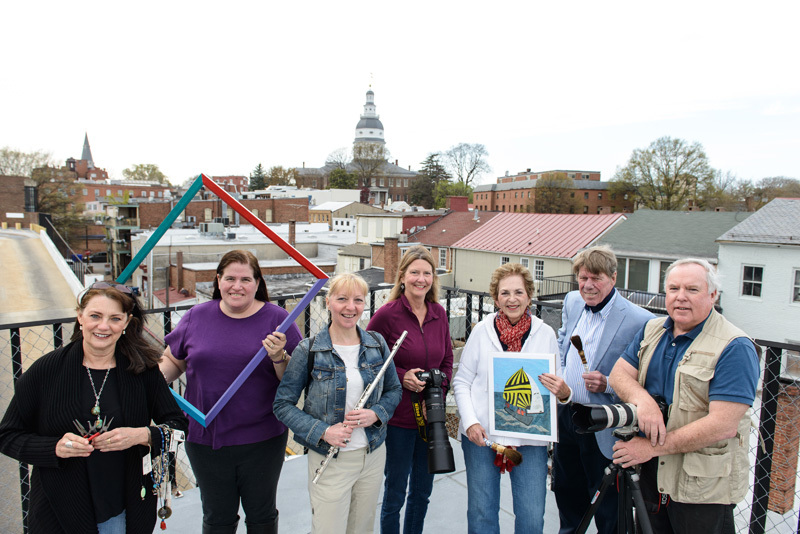 Board Members of the Annapolis Arts Alliance pose above Annapolis downtown. 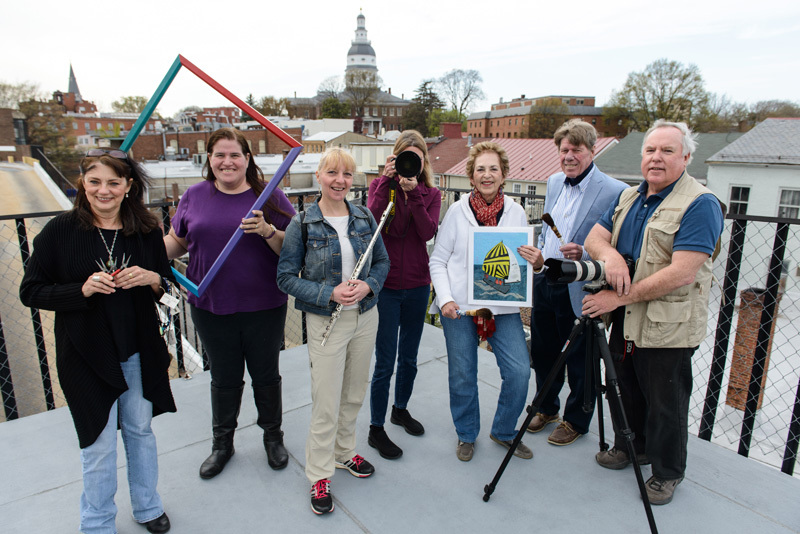 L-R: Sonja Holleman (Membership), Elizabeth Ramirez (President) Pamela Godfrey Stevens (Secretary), Dale Hall (PR), Cindy Viener-Hoff (VP), Bill Donaldson, and Frank Brennan. Error: Error validating access token: Session has expired on Saturday, 09-Mar-19 15:57:50 PST. The current time is Tuesday, 23-Apr-19 09:05:35 PDT.